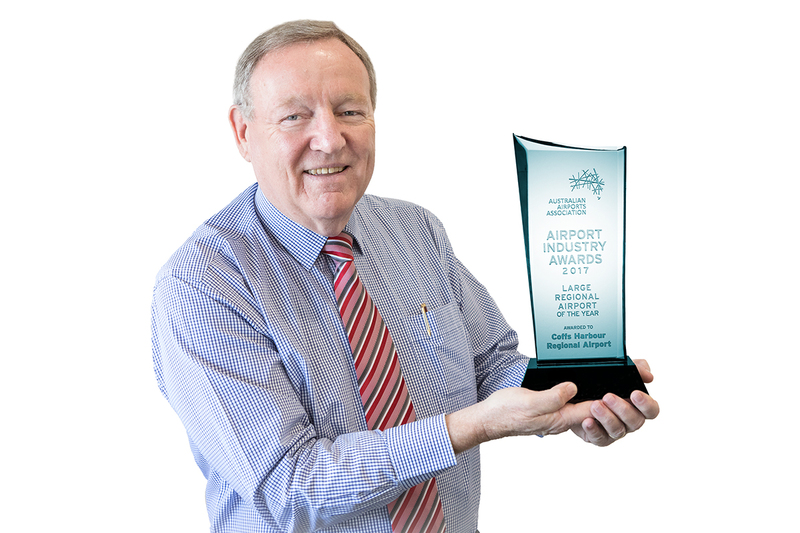 Coffs Harbour Regional Airport was awarded the 2017 Large Regional Airport of the Year at the National Airport Industry Awards, hosted by the Australian Airports Association (AAA) in November. The awards recognise innovation and excellence across a range of categories. “This year’s award winners include Australian airport firsts, significant investments in capacity and innovative new approaches to meeting customers changing needs” said AAA chief executive officer Caroline Wilkie. “All of our winners reflect the passion and dedication of airport staff to lead their industry and create great experiences for the travelling public”. In accepting the award, airport manager Dennis Martin acknowledged his team at the Coffs Harbour Regional Airport as well as airport tenants and major contractors, Kamen Engineering, Boral Asphalt and FM Glenn Constructions for their support and co-operation during recent upgrade works. Since FY 2009/10, passenger numbers at Coffs Harbour Regional Airport increased by over 100,000 to 412,824 as at 30th June 2017. Over the past 12 months alone the increase over the previous year was a significant 35,519 passengers. With current predictions this trend will continue into the foreseeable future. It became imperative that improvements and expansion of airport infrastructure be undertaken to future proof the business for the next ten years. Extending the Departure and Arrivals Halls creating an additional 25 per cent floor area. Two additional entry doors were installed to improve customer access to the Departure Hall. The check-in counter was lengthened and two additional check-in stations added. The floors in four high traffic areas; check-in, security, café and arrivals were completely retiled. Departure lounges were reconfigured, recarpeted and upgraded to new more comfortable seating. The toilets in the Arrivals Hall were expanded and refurbished. The QantasLink Regional Lounge was repositioned, refurbished and expanded by 30 per cent. An additional airline member’s lounge was built to cater for predicted passenger and airline growth. The lounge is currently available for business meetings/presentations. Three new offices were added to improve facilities and functionality for airline personnel and staff of airport tenants. A horticultural architect-designed garden adjacent to the Departure Hall and QantasLink Regional Lounge was created to enhance the ambience and appeal of the airport. The aircraft parking apron was extended increasing capacity from 3 to 5 jet parking bays. The 5 bays can now accommodate 5 free-moving narrow bodied jets parked simultaneously. Two new undercover arrivals entry walkways were constructed to improve customer comfort and more efficient transition from airside to inside the terminal. A second baggage carousel installed to improve customer service especially during peak hours. Apron equipment storage bay was expanded to cater for additional aircraft service plant and improved safety of staff and aircraft during access and egress. A new plant and systems control building was constructed. A purpose built systems control switchboard was installed and commissioned providing management with improved data and information to better manage energy use, systems security and airport operating efficiency. A new hi-tech electricity generator was installed and commissioned. In the event of a mains electricity supply failure, this new generator combined with the switch board system enables all airport operations and systems to function seamlessly 24/7. Administration office and corporate charter lounge expanded and toilets refurbished. New security fencing was installed airside of the Administration Offices. In addition to the current ticketing and payment system, new state-of-the-art credit card reading technology was installed at outdoor and undercover parking stations entry and exit gates. This system facilitates quicker access and egress, less use of paper ticketing consumables and on-line record keeping of expenditure. To enhance security, two new CCTV cameras were installed in the outdoor parking area. These innovations deliver improved customer service and operational management of the car parks. 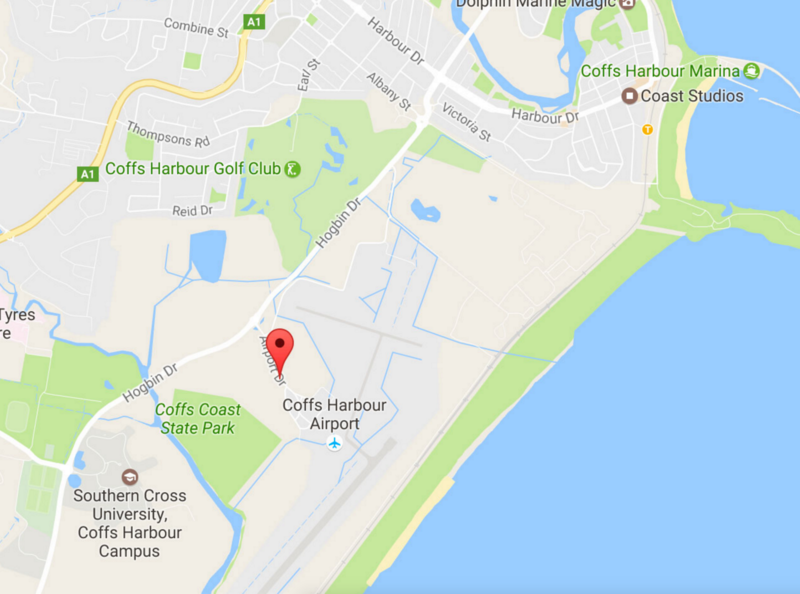 Coffs Harbour Regional Airport has been recognised as the best regional airport in Australia and now has the infrastructure and facilities in place to accommodate future growth without any further major upgrade requirements for several years.